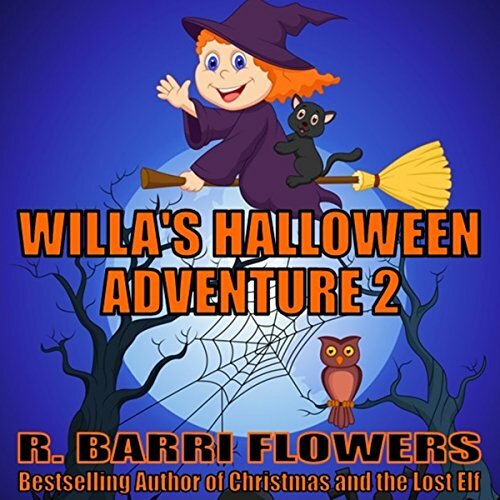 Willa's Halloween Adventure 2 is the sequel to the popular Willa's Halloween Adventure, a fun children's audiobook by best-selling children's book author R. Barri Flowers, about Willa Witchley, who lives in the town of Halloween Hills, Oregon, and becomes a witch just in time for Halloween. Once again, Willa and her cat, Kiki, hop aboard a broomstick and go on a Halloween night adventure, encountering various other Halloween characters along the way. This entertaining and original tale of Halloween is sure to keep young listeners engaged as they go along for the ride with Willa and Kiki.